The vintage and retro market returns to Hannover Quay serving up an eclectic selection of clothing, collectables, vinyl delights and much more. 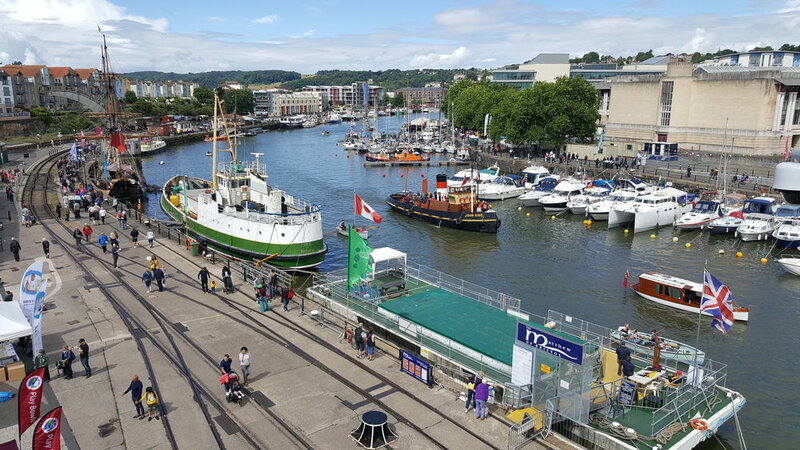 Busy, bustling and bursting with atmosphere, it’s a great place to grab a snack en route to Brunel’s ss Great Britain and Grain Barge. 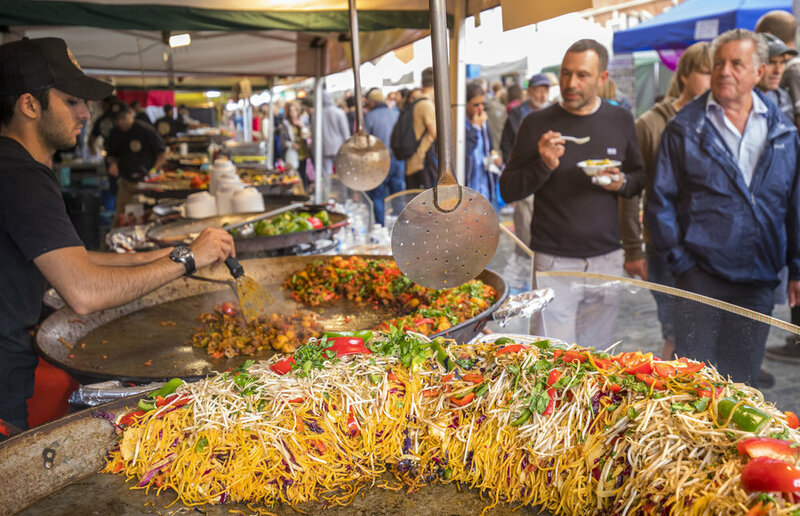 An experience for the nostrils as much as the taste buds, no visit to the Bristol Harbour Festival is complete without a stroll around the Continental Market in Queen Square. 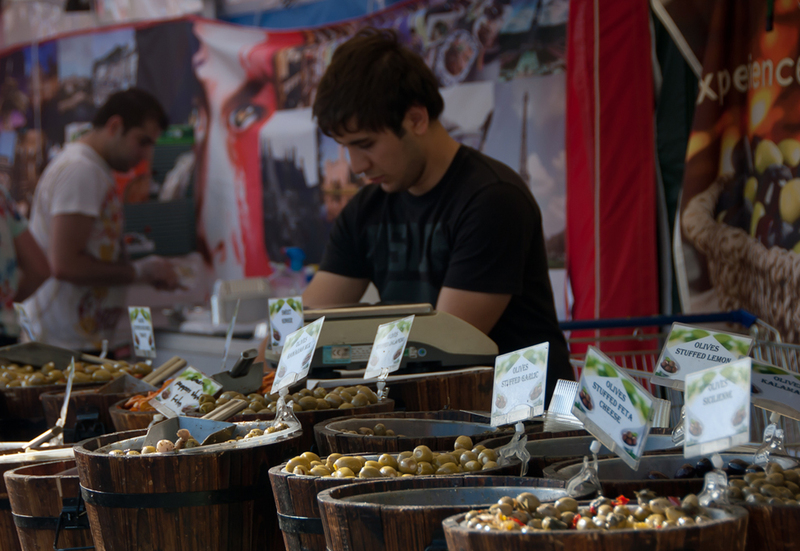 With its fantastic line-up of stalls from across France, Italy, Spain and Germany you can find olives, fresh bread, cheese and fresh fruit, tartiflette, paella and crêpes alongside traditional gifts and crafts, including gorgeous handmade soaps and ceramics. Independent traders from across Bristol and the South West unite in this bustling new addition to the market line up, which can be found close opposite the Thekla. . Throughout the weekend traders will be selling wooden crafts, glassworks, art, jewellery, clothing, accessories and food. An experience for the nostrils as much as the taste buds, no visit to Bristol Harbour Festival is complete without a stroll around the Continental Market in Queen Square. This market and exhibition area is right in the thick of the action and boasts a variety of stalls lined up opposite the busy bars and restaurants. The Cascade Steps stage is a stone’s throw away so you can enjoy the sounds of the live performers while you saunter along the water’s edge.